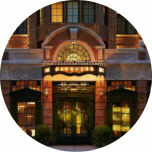 The Walker Hotel is a charming 113-room boutique hotel in the heart of wander-worthy Greenwich Village. Located on beautiful 13th street, the Walker Hotel is one of those special places where you can let your inner-New Yorker run free and absorb the magnetic energy of the city. At just about a five minute walk from the school, retreat to this romantic nook with bucolic street views. 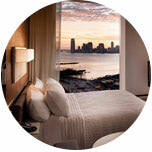 Click Here to book a room to receive the FlowerSchool NY discount of 12% off the standard room rate. We recommend The Standard Hotel in the nearby Meatpacking District, steps away from The High Line and just a ten minute walk to the school. If you call directly (see below) and mention you are taking classes at FlowerSchool New York, they will offer FSNY students a 10-15% discount on their room rate. 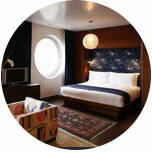 We also recommend The Maritime Hotel in the nearby Chelsea neighborhood with just a five minute walk to the school. Please feel free to contact the Director of Sales, Nancy Hackett, directly (see below) and mention you are taking classes at FlowerSchool New York. They will offer FSNY students a 10-15% discount on their room rate. 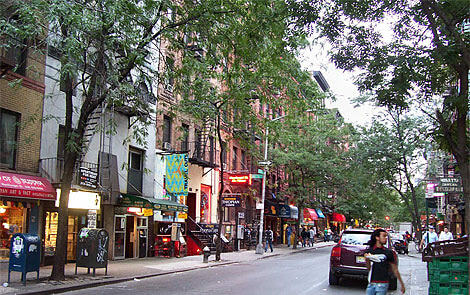 A Residence For Women studying, working and interning in New York City, the Markle Residence is a short-term housing option for women. This is a good option for someone looking for a less costly housing option. 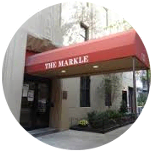 Located on a tree-lined street in the West Village, the Markle has one of the best locations in Manhattan, and is conveniently located near the school.